Every September the fire department torches a mock residence hall room in the quad. I love to watch the faces of students as they "get" the implications of what they are observing. Another event takes place in January when SpIL student leaders join Residence Life for broomball at a local ice-rink. Chaos on ice, in flat shoes and helmets – pretty out of control, but extremely fun. I was married some decades ago to my wife (Heather). 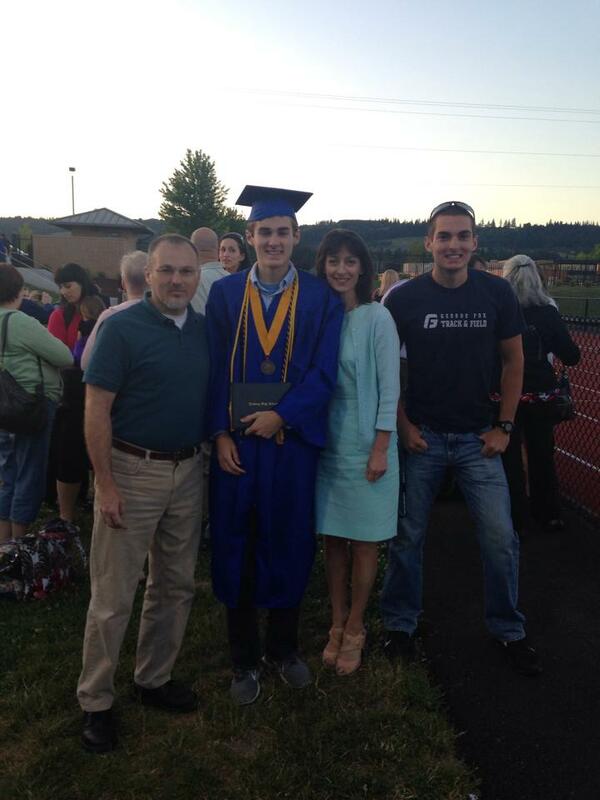 We have two outstanding sons (Caleb and Samuel), both taller than us, and Caleb is a senior at George Fox this year. Samuel is a junior at Whitworth. It might sound trite, but I love any time I get to spend with my family, particularly if we are all together. After a few minutes of conversation, you will pick up that I am "not from these parts." We were all born in Canada, but have lived in the US since the late '90s. In a nerdy way, I love to read and watch movies. truthfully, my boys would say that we live a fairly boring life. I love to discover forgotten family stories and imagine how they might fit into their current context. Coffee shops are losing their glamor for me; I have started logging hours at the Newberg Bakery. Have this mind among yourselves, which is yours in Christ Jesus, who though he was in the form of God, did not count equality with God a thing to be grasped, but emptied himself, taking the form of a servant, being born in the likeness of men.